If you're growing out your facial hair, there isn't much you can do to make it grow faster or fuller — most of that is determined by your genetics. But there are some things you can do to get through that early awkward stage of growth. I recommend using a beard oil once you get into the stubble phase and beyond. It helps soften the hair and make it less itchy to your skin, and less irritating to your significant other. I'd also recommend a good mustache wax once your 'stache gets to a certain length, to keep it styled and also keep it out of the way while eating and drinking. 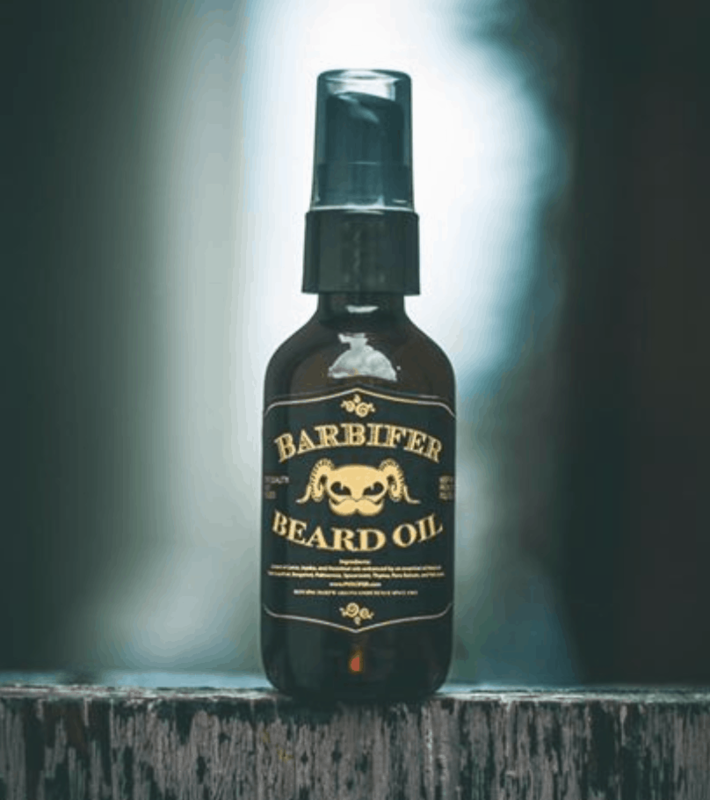 After a shower, I use Barbifer beard oil to tame my beard, and also to cut down on skin irritation and that "itchy" sensation a beard can give. 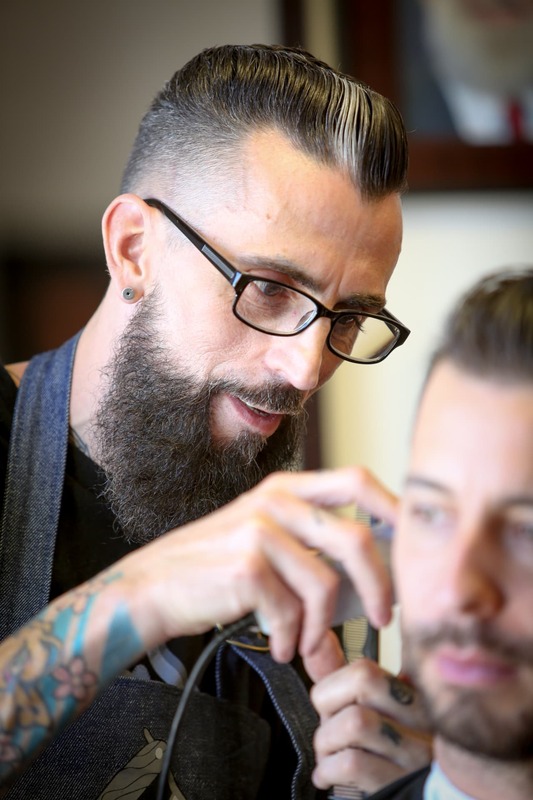 For a finishing touch, I use a small amount of the Reuzel Beard Balm to shape my beard. For my hair styling, I use a combination of Reuzel "Green", a versatile wax product that has a medium hold, and Reuzel "Red", a high sheen, water-based Pomade. I use about a dime-sized dollop of the two and mix them together in my hands, then work through my hair and style. This makes it easier to mold the hair into the style you want and it keeps its hold all day. Frank Barry, aka “Frankie2Bits,” is the manager of Barbifer, a barber shop inside a record store inside Puscifer the Store in Jerome, Arizona. 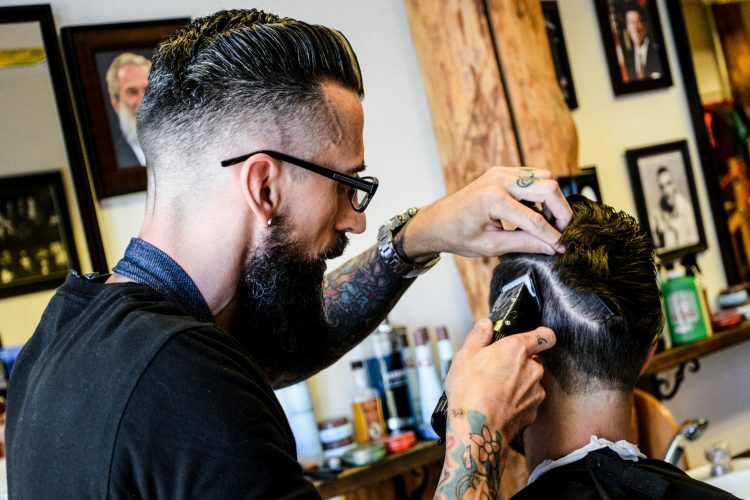 He sharpened his skills as a traditional barber at Stay True Barber Shop of Hudson, New Hampshire. Photo at top by Miguel Guzman.